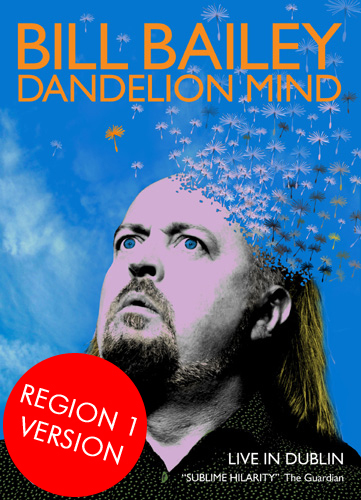 FINALLY… A REGION 1 VERSION OF DANDELION MIND! No way. Yes way! After our constant badgering on behalf of all of you frustrated US and Canadian fans, Universal has finally granted us exclusive permission to offer for sale “Dandelion Mind” DVD in Region 1 format. This DVD will only be available to buy directly from us here and to top it all Bill has promised to sign every single disc! Jeez, he’s a good chap!